Zirconium diboride-silicon carbide (ZrB2-SiC) ceramics are considered to be potential candidates for ultra-high temperature (> 2200 °C) applications due to unique combination of properties. However, it is difficult to machine micro-hole in ZrB2-SiC with a high precision by traditional methods owing to its highly mechanical strength. Here, an effective method to machining micro-holes on ZrB2-SiC ceramics was presented, by using a magnetic suspension spindle system (MSSS) electrical discharge machining (EDM) which possesses high response frequency. The objective of this experimental work is to study effects of machining parameters of MSSS EDM on discharge percentage, material removal rate (MRR), electrode wear rate (EWR), and lateral surface quality. 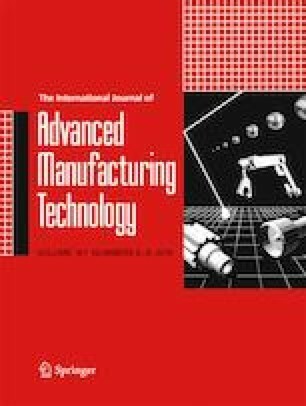 Experimental results reveal that compared to micro-holes machined by conventional EDM, with the application of MSSS EDM, discharge percentage increased by at least 28%, and arc percentage decreased by at least 16.3%. Hence, MRR increased by at least 35% and EWR decreased by at least 51%. The inlet and outlet diameters of the micro-holes and the lateral surface of the holes significantly improved with using MSSS EDM. The experimental results demonstrate that compared to conventional EDM, MSSS EDM can be used to fabricate micro-holes on ZrB2-SiC ceramics with a higher efficiency and quality. This project is supported by the National Natural Science Foundation of China (Grant No. 51875132), and Heilongjiang Province Nature Science Foundation (E2016037).